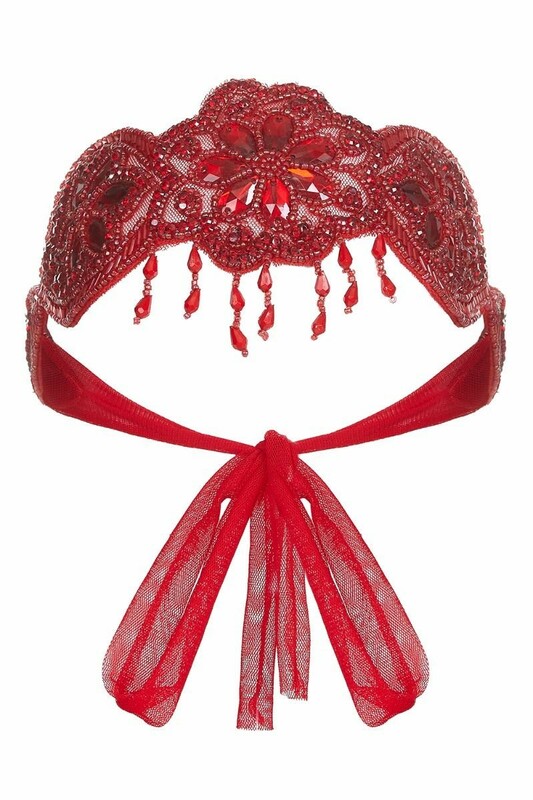 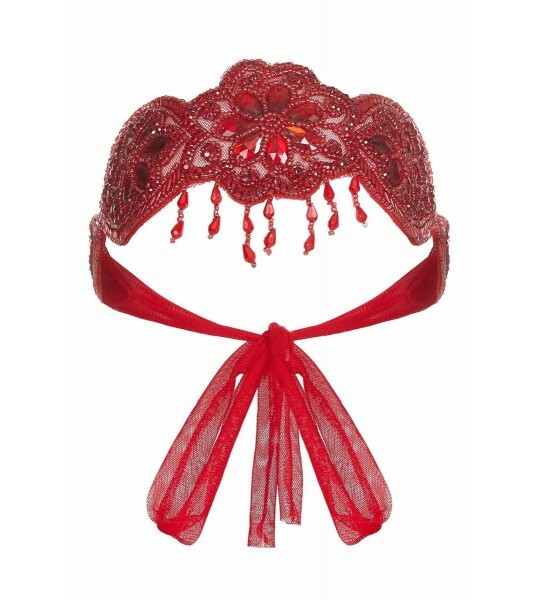 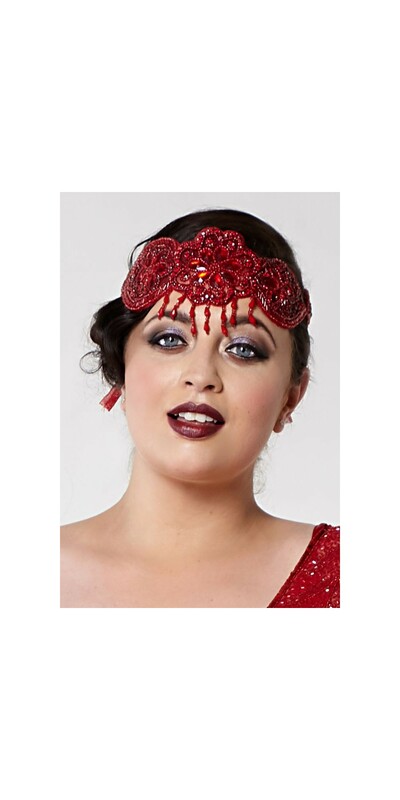 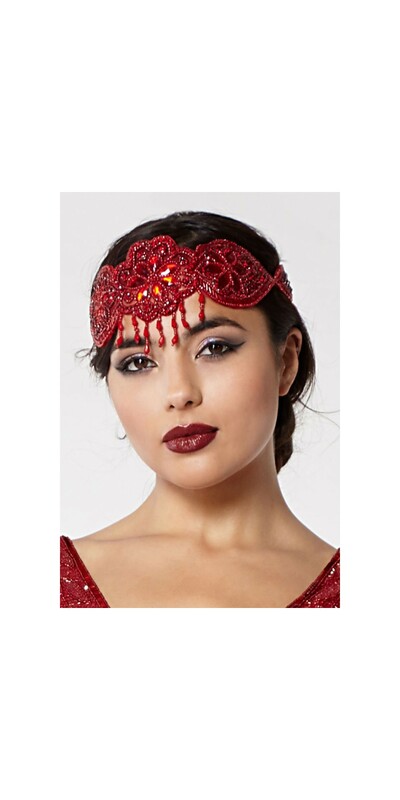 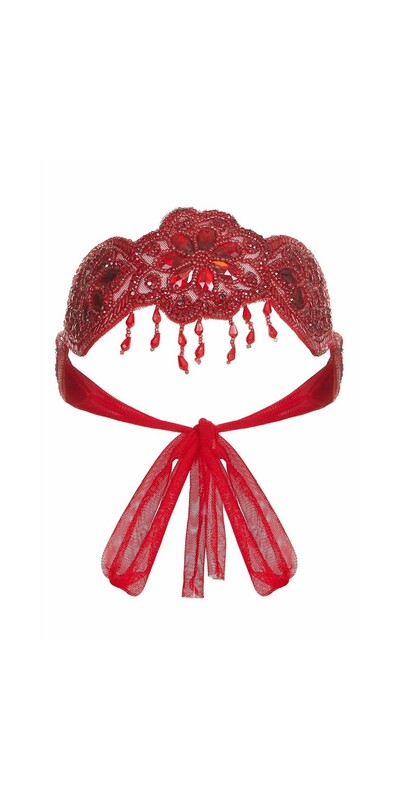 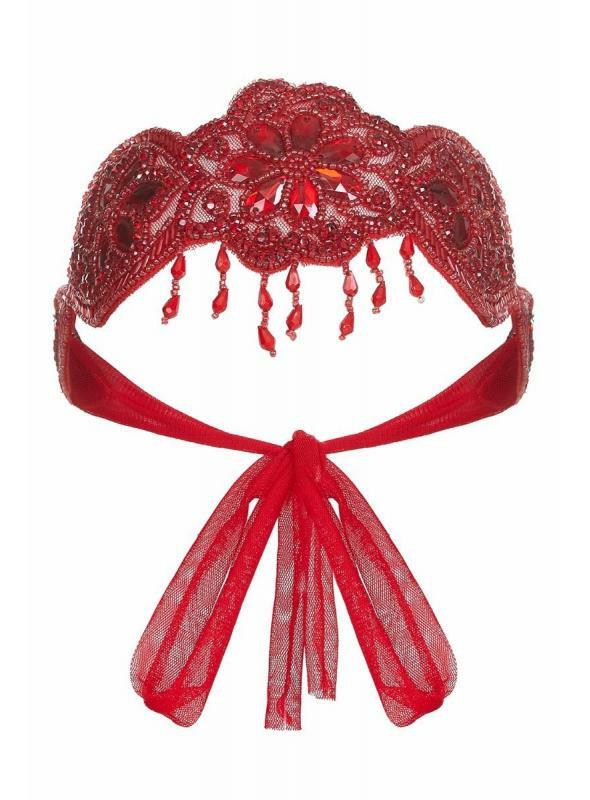 Travel back to the elegance of the 1920s with this noir Gatsby Style Headband in Red. 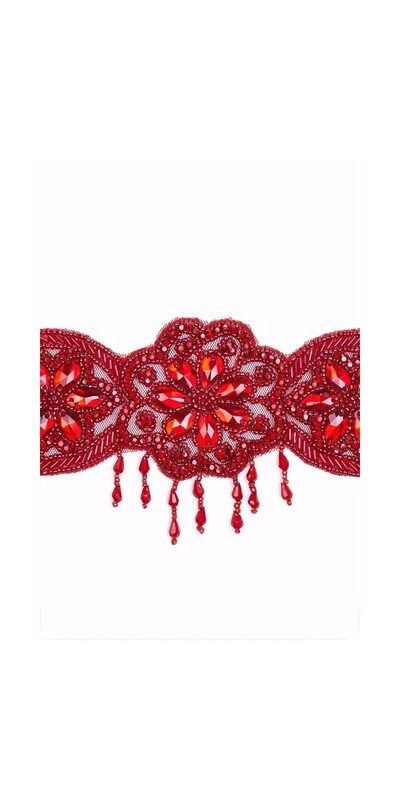 The mesmerizing embellished design is hand-crafted with shimmering beads. 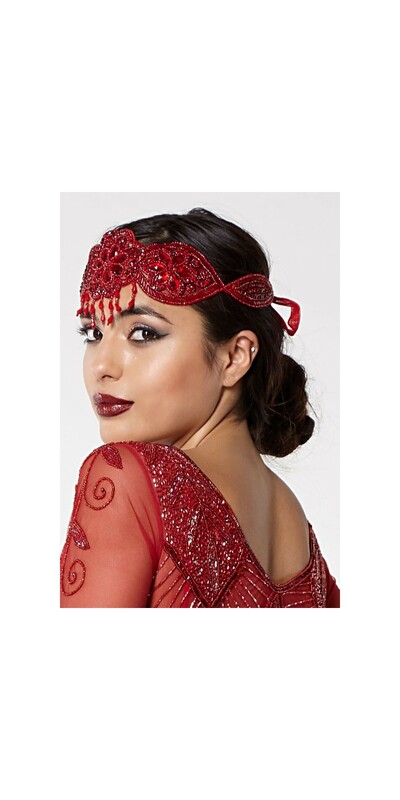 The matching hand-embellished dress completes the look for a timeless beauty.